Our restaurant is open for breakfast, lunch and dinner. Open from 7.30am and closes at 10pm. 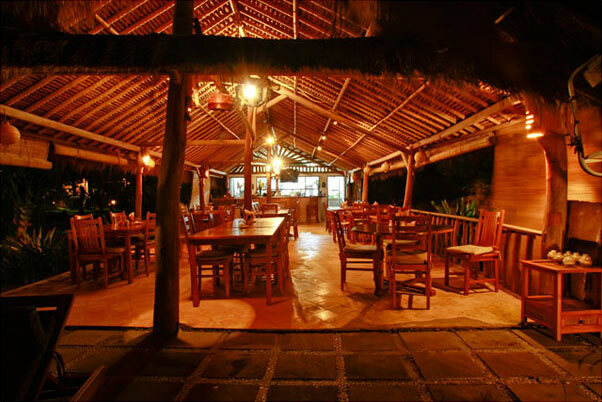 Our menu includes Balinese, Indonesian and International cuisines, offering freshly prepared food to suit everyone's taste. Our bar also offers beer, wine and cocktails, plus an extensive selection of soft drinks and fresh fruit juices. You can dine 'al fresco' style beside the pool or in the garden, or we can serve your meals on the verandah of your bungalow.